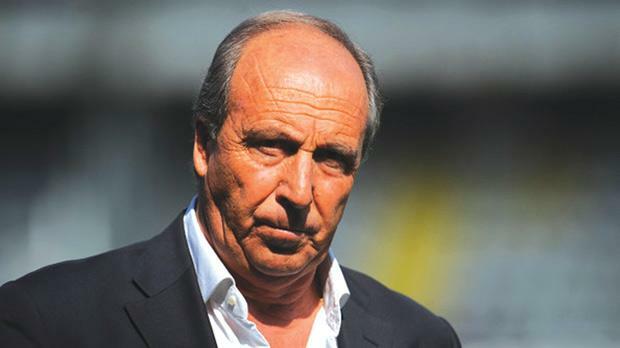 Giampiero Ventura... steered Torino to Serie A. After three long seasons in the Serie B, fallen giants Torino are now back among the elite clubs in Italy following a superb 2011-12 season in which their promotion to the top flight was practically never in jeopardy. Torino finished the campaign runners-up to Zdenek Zeman’s Pescara only because of an inferior head-to-head record after having finished on the same number of points. Torino and Pescara were both off to a flying start. Whereas many expected the Maroons to make it a third time lucky by winning one of the two automatic promotion slots, few had tipped Pescara to soar so high in the standings. Only two years before, Pescara were still in the third tier of Italian soccer (Lega Pro) and in the previous season, under the charge of ex-Roma winger Eusebio di Francesco, Pescara had finished 13th. Sampdoria were the other team that got promoted from the Serie B but they achieved their goal via the play-offs. Sampdoria had experienced a free-fall since finishing fourth in season 2009/10 and were a whisker away from qualifying to the Champions League proper in August 2010. The departure of Antonio Cassano and Giampaolo Pazzini signalled the beginning of Samp’s fall as they were relegated alongside Bari and Brescia for the first time since season 1998/99. All three newcomers to the Serie A enter the new season brimming with confidence and hoping that they have what it takes to aim for higher objectives rather than just to avoid the drop. Pescara will be no pushovers after ending a 19-year wait to return to the Serie A. To their advantage, Pescara do not have the same kind of pressure as Torino and Sampdoria to keep their heads above water. Torino have kept faith with Giampiero Ventura, arguably the mastermind behind their rise from the ashes. This summer, club president and owner Urbano Cairo is adopting different transfer policies and is only seeking to sign players who already played for Ventura or are suitable to the coach’s 4-2-4 playing system. So far, Torino have captured the signatures of Gillet (Bologna), Gazzi (Siena), Brighi (Roma), Santana (Napoli) and Sansone (Sassuolo). Gillet and Gazzi were key players in the Bari side that took the Serie A by storm in season 2009/10 with Ventura on the bench. However, Torino are finding it hard to keep hold of international defender Angelo Ogbonna who seems to be on Milan’s radar to replace Thiago Silva. Cairo was also involved in a tug-of-war with his Sampdoria peers for Maxi Lopez to bolster his attack but in the end the former Catania striker opted for the Genoa club in a deal worth €8 million. Sampdoria, now under the charge of Ciro Ferrara, have been active on the transfer market. Besides Lopez, they have also made official the arrivals of Costa (Reggina), Tissone (Udinese), Eder (Empoli), Martella (Pescara), Corazza (Portoguaro), Renan (Cluji), Regini (Empoli) and De Silvestri (Fiorentina). Pescara have a mountain to climb after parting with wily coach Zdenek Zeman, who returned to Roma. Moreover, three key players in their squad – Verratti (PSG), Immobile (Genoa) and Insigne (Napoli) – have left for pastures new. New coach Giovanni Stroppa’s most daunting task is to find adequate replacements for these three players, who contributed heavily in Pescara’s promotion push. So far, Pescara have signed Cap-rari (Roma), Bacchetti (Sampdoria), Abbruscato (Vicenza) and Bjarnason (Standard Liege).